It's hard to keep viewers' attention in today's fast-paced world. Most of the time our minds are focusing on so many thing at once that we can very easily be distracted by... ooh, look, a pigeon. This means creating video content that keeps your audience hooked is harder than ever. And encouraging your viewers to take action after watching your videos can sometimes seem like a mammoth task. Luckily, if you invest in well-planned, well-produced and well-marketed video you'll find that your audience is just as receptive as ever. And there are many new tools to help businesses heighten engagement in their audience - the most exciting of which is interactive video. Here are our favourite examples of companies using interactive videos to keep their audience interested, engaged, and most importantly, taking action. Take note of the key guidelines necessary to successfully introduce interactivity into your own video content. It's at the heart of interactivity, after all. By letting your audience alter how they experience your video content you can keep engagement consistently high, both during the video and afterwards. 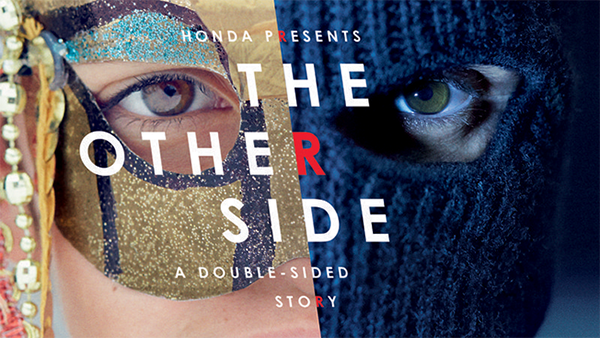 'The Other Side', an interactive advert from Honda for its Civic and Civic Type R cars, allows you to press 'R' to switch between two parallel stories. It's been shared over 60,000 times across social media platforms. Not only did the audience feel compelled to interact with the video - they also carried that action on afterwards by sharing the content socially. Click on the image to see how quickly you get drawn into the seamless cinematic experience. I'm betting it won't take long. Increased engagement gives more time for your message and brand to sink in, as well a higher chance of your audience continuing to engage with you once the video content is over (whether that involves social sharing, lead generation or even conversion). 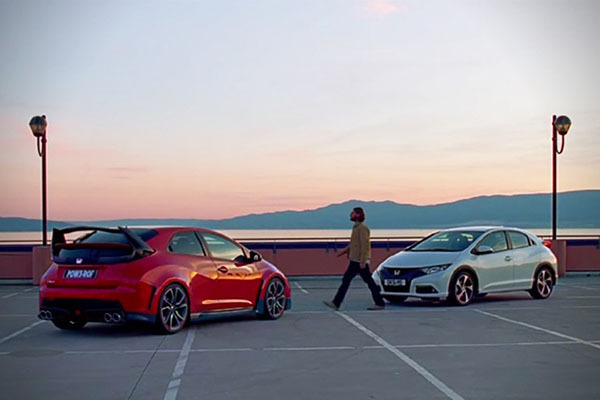 Plus, we love this ad because it's an incredible bit of filmmaking and editing. If there's one surefire way of making your target audience happy, it's to give them something of real value. And if you can offer this on top of all your usual content, even better. That's what Kraft did. The American food and drink company frequently shares recipes with their audience to add extra value to their products. They even have a whole website dedicated to it. So they decided to create a clever interactive video that serves as a visual recipe, a shopping list, and a gateway to lots of relevant content. This deceptively simple video is valuable to Kraft's target audience on two fronts. Firstly, it shows them how to make a delicious dessert quickly and simply with a few ingredients. But its interactivity also offers another layer of value - viewers can hover over the ingredients shown to bring up a description, plus other useful information and links to related recipes on their website. We've got a sneaky feeling that interactive videos like this may well be the future of retail marketing. Not only can companies up their audience engagement. They can also increase the numbers of viewers converting to customers, by linking to a wider range of products and showing how they can be used in their audience's everyday lives. Here's a great example of an utterly immersive interactive video experience from the Guardian. It's actually a series of videos on a dedicated microsite, all exploring how the internet has affected us personally, socially and morally. 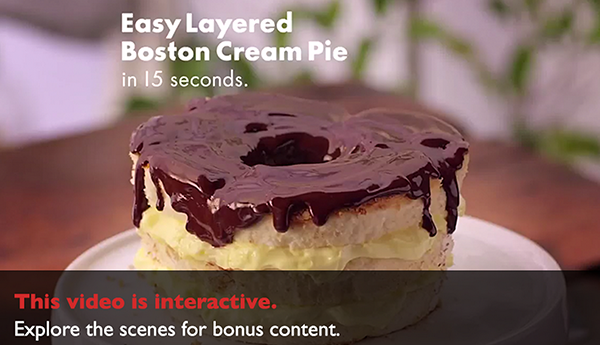 This is interactive video at its simplest, but it's more effective for it. 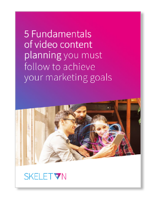 Viewers can watch the videos in any order they choose, focusing on the topics which interest them most and burrowing further into additional written content. The result is an involving and thoroughly engaging experience. The Guardian uses this video content at the top of the marketing funnel to cement its status as a thought leader and curator of high-quality, interesting, informational stuff. On the microsite there are no outright calls to convert or find out more about the newspaper, although visitors are free to do so by themselves. Interactive content can serve equally well as an informative tool at the bottom of the funnel to show potential customers how products and services work, and as a medium to raise awareness at the top of the funnel. So that's why interactive video is a powerful tool to keep your audience engaged and taking action both during and after the video. No matter whether your viewers are potential customers, leads or existing customers, you can use interactive video to offer additional value to your audience and keep them consistently engaged.